Vinayaka's Kitchen: Ragi Mudde - Ragi Sangati - Ragi Kali - How-to? Ragi Mudde - Ragi Sangati - Ragi Kali - How-to? 1. Soak the rice in a cup of water for twenty minutes. Take a cooking pan. Add 5 cups of water and boil it. 2. Add soaked rice to it. Cook briefly. 3. Add salt and stir it well. 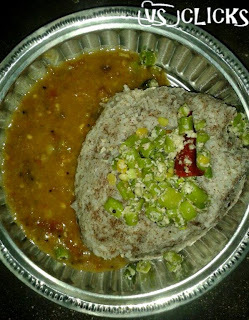 Add Ragi Flour on the top of it as shown in the video. Allow it to cook for two to three minutes. 4. Use Wooden "Mathu" to mix it well. 5. Take two spatula full of Ragi Kali into a Chatti or any round bowl. Rotate it clockwise first and then anti-clockwise to make it a perfect round shaped ball. #1: I love the taste of Ragi and so I used 3/4 cups of Ragi. This gives us more color. #2: In case if you need water at the time of mixing, use boiled water. #3: Use water to clean the bowl while making Ragi Kali Ball. #4: This is a very good dish for diabetics patient. It helps to control the sugar level. Note: This was taught by my mother. Please have a look at the pictures clicked by my brother and she used broken rice, Chatti and homemade ragi flour. 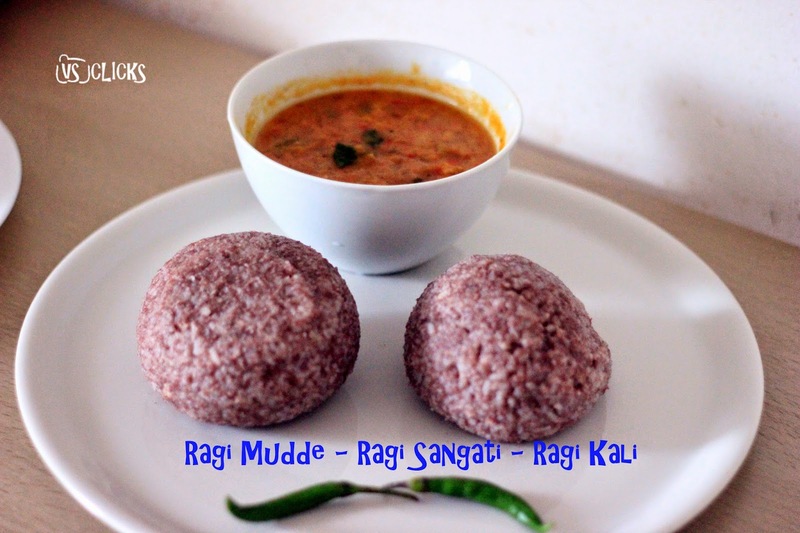 #DoYouKnow: Ragi Mudde also Ragi Sangati or Ragi Kali is a meal in Karnataka, Rayalaseema and Tamil Nadu in India. It is a very healthy dish. 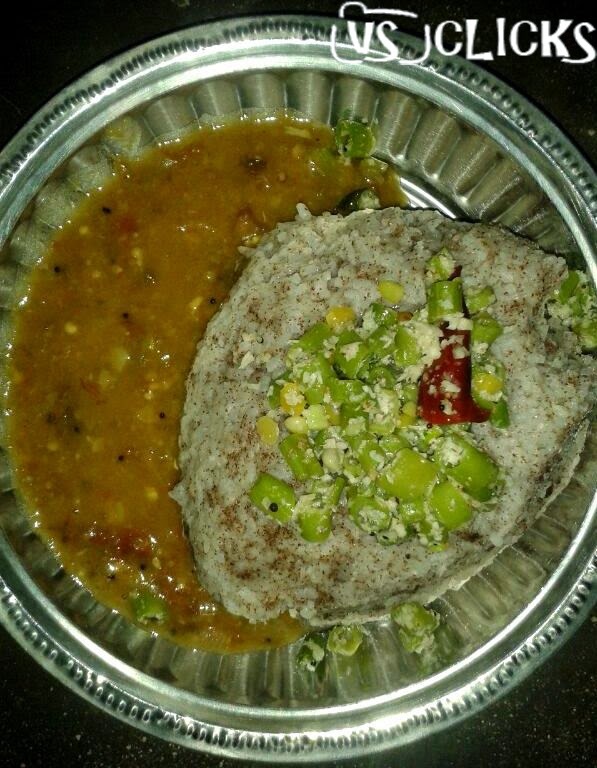 However nowadays people prefer rice over Ragi Kali. This dish is appreciated by Sarav as one of the best dishes cooked by me. Try it out and you are welcome to post the pics here.